A tool is something that aids our process. 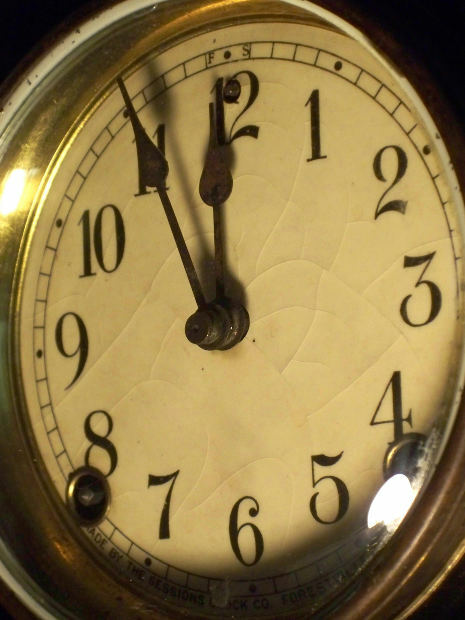 I think TIME can be one of our greatest tools in the writing trade. Everyone has it. Everyone uses it. It’s how we use it that makes the difference between success and failure. Preparing ourselves to write is a wise place to start, otherwise our progress (or not) might reflect Stephen Leacock’s Lord Ronald (from Gertrude the Governess) who “rode madly off in all directions.” What is our goal? How do we plan to achieve that goal (break it down into manageable pieces)? You’ve heard this before, but it’s worth repeating. As writers, we need time to imagine, explore our thoughts, mull over ideas. This is the brainstorming process, or mind-mapping, or whatever we choose to call it. Some writers think about a story for years, then sit down and write it. Some of us have the initial ideas or characters or setting in our minds, but the story only comes into its own once the words hit the page. Whether we think in silence or on paper or screen, we need time to analyze our imaginings. Schedule it. Whether this is point three or four for you, it’s still an important aspect of our trade. I need something to organize before I can set it to rights. I need to figure out what kind of story I’m writing, and that often only comes once the fingers start tapping keys. If you’d rather organize first, outlining everything down to the chapter, go for it. But eventually, we have to commit this to the characters’ viewpoints and show the story through them. * Storyboard – buy a science project board for a couple of dollars. It’s already folded into three parts (Acts I, II, III) and works very well for visual writers who need to see the process. Outline your story, broken into acts, with turning points at the end of each act. 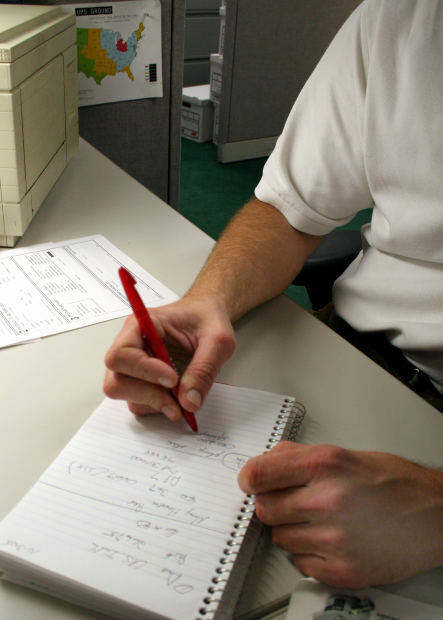 * Index Cards – outline each scene in a few words on an index card. 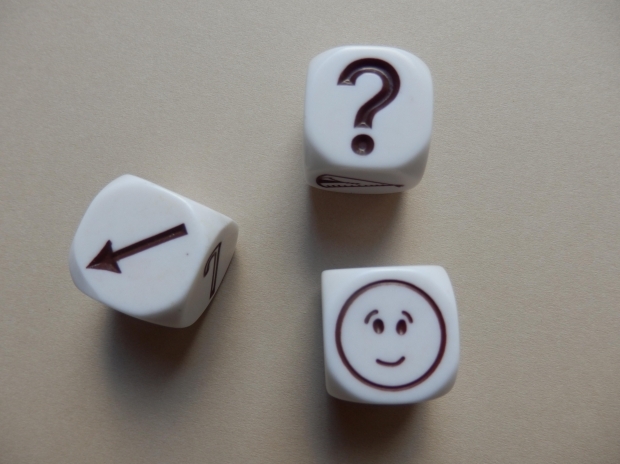 You may include the Goal, Conflict, Outcome questions as part of this exercise. Once all scenes are represented on cards, lay them out on a very long table and arrange them the way they make the most sense. You may also use a different color card for each main character so you can see if there’s a proper balance of points of view. * Sticky Notes – these can be used on the storyboard using different colors for different characters or storylines. * Spreadsheets – if you have a mind that loves order and charts, use this form to set out scenes, characters, settings, synopses, etc. You can also employ colors for various areas. NOTE: There are times when all our best-laid plans go awry. Edie Melson writes a helpful post on Novel Rocket that speaks to this: http://www.novelrocket.com/2015/02/writing-through-chaos.html Well worth reading. There are charts available so you can record and plan every waking hour, down to fifteen-minute segments. If you’re a driven person, try it. If you’re not, save yourself the stress and allow for more latitude. (I use a couple hours each morning for social media and learning. In the afternoon I work on novel drafts or edits and blogs.) However we use our time, we must remember to live. As author Allen Arnold writes, we can be the biggest threat to our novel if we don’t take time to live a little. Janice: Welcome to my blog, Caroline. I look forward to our visit today. CAROLINE: I do too, and thank you for having me. Janice: Have you always wanted to be a writer? When did your writing interest begin? CAROLINE: I don’t know that I always wanted to be a writer. I have always loved to write. In high school, I would always pick the creative option out of the essay questions, rather than pick one of the “analyze the imagery in….” type of questions. In university I wrote a lot of letters – no email then (gasp!) – and once took a page from Chaucer and wrote a Canterbury Tales type of letter about the new friends I was making. I wrote a lot of plays for summer camp, and in graduate school, moved on to screenplays. It was then that I really determined writing was something I wanted to pursue in a serious way. CAROLINE: While there are certainly people who have influenced my decision to keep writing, I think the decision to start writing was born more out of different events or interactions with certain individuals. There was a youth group leader to whom I sent the Chaucer influenced letter. When I was home on break one time, she said, “You write very good letters. You could be a writer.” I kept her words inside. Every now and then they would creep to the front of my thoughts, but I would dismiss them. Her words stayed with me. I think it served as the validation for giving in to the compulsion to write the letter in the first place. Then there was the high school teacher whose praise, after I created my own modern myth instead of the answering the other essay questions on Robertson Davies’ Fifth Business. Again a moment of validation. There were others, but really, it was while I was pursuing my Master of Arts degree in Film, that the bug took hold. In our Principles of Christian Communication class, we were assigned the task of communicating a common Christian principle in the creative manner of our choosing. There were so many creative people selecting all manner of mediums but, I wrote. Once the idea came to me, the need to get the story down was consuming. That, combined with the resulting response, is what really pushed me in terms of making a decision to write seriously. In terms of people who influence me to keep writing, my very good friend, Cheryl McKay would be among the top contenders. She’s a wonderful screenwriter and is now venturing into novel writing. Her honest feedback and encouragement has been invaluable. As well, I consider myself lucky to have friends who are honest in their feedback, freely expressing what they like, or what they don’t like, and taking a sort of ownership over the story in such a way as to almost be as invested in it as I am. It’s been amazing. And of course there’s you, Jan. Your friendship and mentoring has meant so much, I don’t know if I can express it adequately. You helped keep me motivated to finish and to remain true to the characters as I went. Janice: Well, thanks, Caroline. Your novel, Confessions from a Farmer’s Wife, released in November of 2011 with Greenbrier Book Company. How long did it take you to bring it from concept to completion? CAROLINE: It took a very long time. I started it just as I was finishing my MA in 1996, and didn’t finish it until 2010. I didn’t take it seriously for the first little while and let life distract me. Janice: Tell us a bit about the book and why you wrote it. CAROLINE: I think the story found me. The book originally started out as visual image for the beginning of a short film idea, but the more I wrote, the more I realized it was bigger than I had thought. The visual is still the beginning – two kids sitting on the bank of a creek, meeting for the first time. But even before that moment when the image came into my head, the idea behind the book came about from a remark my mother made. She had written and directed a play based on the book of Job. I don’t remember what our conversation was about when she commented that all we really know about Job’s wife is that she tells Job to curse God and die, but her comment really made me think. It struck me that she, Job’s wife, lost everything too. It would make sense that she would have a lot to feel about the matter. I started to explore the idea of what it would take for a wife to tell her husband, whom she knows values his relationship with God above everything else, to turn his back on his God and die. What did she mean by it? What was her faith like compared to that of her husband? These are the ideas I wanted to explore. Of course, being a parallel of the Book of Job, there are certain themes that run through the book, the idea of believers suffering and who is responsible for it. What do we do when we suffer? How do we keep faith when it happens? How do we deal with God? Heavy thoughts for a novel, and I don’t try to answer these questions, because I certainly don’t have all the answers. I think that’s the main theme – What do we do when we don’t get any answers, and not just ones we don’t like? The book is very character driven. The entire book you’re in the head of Jessie, the main character as she recounts the events in her life from the time she is six years old through young adulthood. You see the other characters through her eyes and learn what they mean to her, how she feels about them, and what impact they have on the choices she makes. Janice: Sounds amazing, and since I’ve read it, I can attest to that fact. Are you currently working on a sequel or another novel? CAROLINE: I am currently working a second novel with the same characters. It’s a bit of a sequel as it picks up from where the first book finished, but it’s also a prequel in that it takes us back further in time and into the lives of other characters – a different POV. I also have an idea for a sort of mystery thriller that I’m toying with. Very different from Confessions. Janice: Cool In what genre would you classify Confessions? CAROLINE: I would classify it as contemporary. It’s a little historical in terms of setting, but the historical events are not what drive the plot. Janice: What is the most difficult part of the writing process for you? And your favorite part? CAROLINE: The most difficult part of the writing process is having to pull myself out of the world I’m creating. When I’m there, I just want to stay there. When the phone rings or other things demand my attention, I get a little crabby. I resent everything that keeps me from getting back there. And yet it’s probably a good thing to touch base with reality more often than not! That’s also my favorite part. If I want readers to want to spend time with my characters, I have to want to as well. I love the feeling of sinking into the process, loosing all track of time and awareness of anything but the emotions of the character and the click of keys on the keyboard. I can feel my heart rate increase as I being. It’s a very heady feeling. Janice: What did you learn while writing Confessions? CAROLINE: This is tough. It was such a personal journey. While I’ve never suffered through the events that my characters have to go through, I struggled and still struggle with many of the questions that they do. I think I had to come to terms with the understanding that there are things that happen and that God, in all His wholeness as loving, just, jealous, forgiving, sovereign, and many more attributes, is God. There are many things I will never understand, but my faith is not misplaced. Janice: Are you a planner or a pantser? Do you use any computer programs to aid your writing process? CAROLINE: I think I’m a mix. I know where the story will end. I have to have this first. Then I can know where I want it to begin. I will have several key events that will have to happen to get me from beginning to end, but how we get to there will be anyone’s guess! I do make what I call a “shot list” – I think in film terms even when it’s a novel. This is a list of key points that need to happen either in a particular scene or to link two events. Sometimes I make the list because I know what I need to happen in advance of sitting down to write. And sometimes the list grows organically out of what is happening emotionally with the characters as I write. I’m usually thinking, “What has to happen plotwise to get my character to this point, and what is plausible in terms of story/setting etc?” But I’m also thinking about surprising the reader. I’m not always sure how successful I am, but it’s something for which I strive. 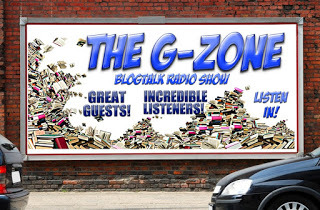 Janice: How do you promote your book? How much is your responsibility and what do you expect from your publisher? Janice: We hear so much about social media these days. Are you into that and if so, how do you use it to promote your book? CAROLINE: I have a personal Facebook page, I’m on twitter although I can’t tell you the last time I tweeted. I had a cell phone die and haven’t downloaded the twitter app to the current phone. I also have a personal website, but again, I don’t update except maybe once every year or two. I’m pathetic because I recognize that it would be extremely beneficial to utilize the whole social media venue to promote my book, but I just hate the thought of how much time it takes. Plus, I’m not much for selling myself. I find it very difficult, as do many other writers, I’m sure. My profile picture on Facebook is my book cover, if that counts? Janice: I think many writers understand the difficulty of promotion. How do you research and how can you be sure of your sources? CAROLINE: I research a bit at a time. I don’t enjoy it all that much. Beyond finding what I need to be certain that where the story is going is plausible, I find it laborious. I use the Internet and the library, and I try to confirm the information with more than once source so that I can be fairly comfortable that it’s accurate. I’m not sure I always get it, but I try very hard. Janice: Is writing your career or do you have a day job? How much time do you set aside for writing? CAROLINE: I would love for writing to be my career, but no, I have a day job. I work as an Administrative/Executive assistant. I have a problem setting aside time to write. I commute over an hour to work each way, and when I get home I have to feed the dog, feed myself, exercise the dog…and so on. So weekday evenings are not good. I try to do some at lunch sometimes, but by the time I get in the groove, my lunch is over. I would love to keep all weekends to myself for writing but there are friends and family that I enjoy spending time with, so this is why it took me a long time to complete the first book! Janice: I empathize! Although not all readers are writers, I know that all writers must be readers. What are you currently reading? What’s on your to-read pile? 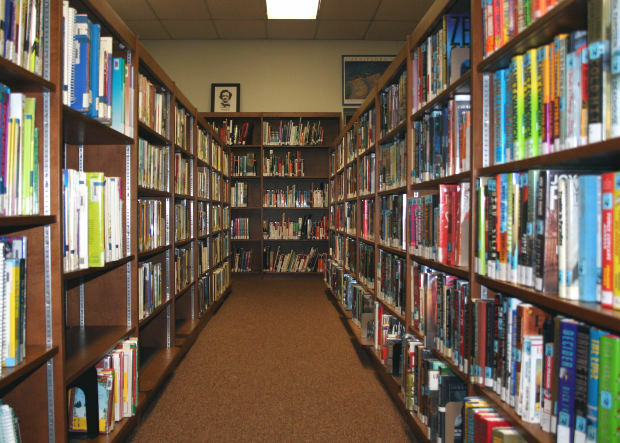 Do you read mostly print books or digital? Why? CAROLINE: Currently, I’m not reading, which is probably why I’m not being too creative. I like a good romance when I’m on vacation, or a good mystery. I like Francine Rivers, Charles Martin and stuff like that. I don’t generally do non-fiction – I’m convinced I have a block where that’s concerned, but if the story interests me, I’ll read it. I just need strong characters that I care about. I read a mix of print and digital. I love the feel of a book in my hand, and how the accomplishment of the number of pages read turns into the disappointment of how few pages are left and wanting it to last a little longer. But I do love my e-reader for sheer convenience. Currently, I have your latest book ready to read on my Kindle, and I’m waiting for my friend Cheryl’s latest novel to be released, Song of Springhill. It’s about one of mining disasters in Springhill, Nova Scotia in the 1950s. Janice: Enjoy the books. For reader interest, what are some of your non-work/non-writing involvements and hobbies? CAROLINE: I love going to movies, even bad ones, although I try to avoid them I can. I also love photography. I have a couple of friends with whom I go shooting regularly. One day we’ll focus on black and white, another we play with long exposure. I’m very much a novice, but I love it. 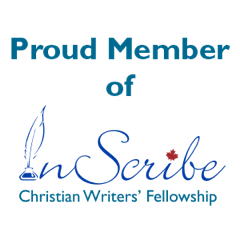 Janice: Do you have any tips for newbie or wannabe writers? CAROLINE: Believe in your story, but not to the extent that you turn a deaf ear to constructive criticism. It’s not personal if someone doesn’t like your writing, even if it feels that way. Not everyone will like it. Be objective about criticism, encouraged by enthusiasm, and grateful for both as it means you’ve written something and someone is reading it. Janice: Thanks so much, Caroline, for taking time to tell us a bit about yourself and your writing. All the best in your writing future. CAROLINE: Thanks, Jan. All the best to you as well! Caroline Way was born in Portland, Oregon, raised in St. John’s, Newfoundland until high school, when her family moved to Ontario. 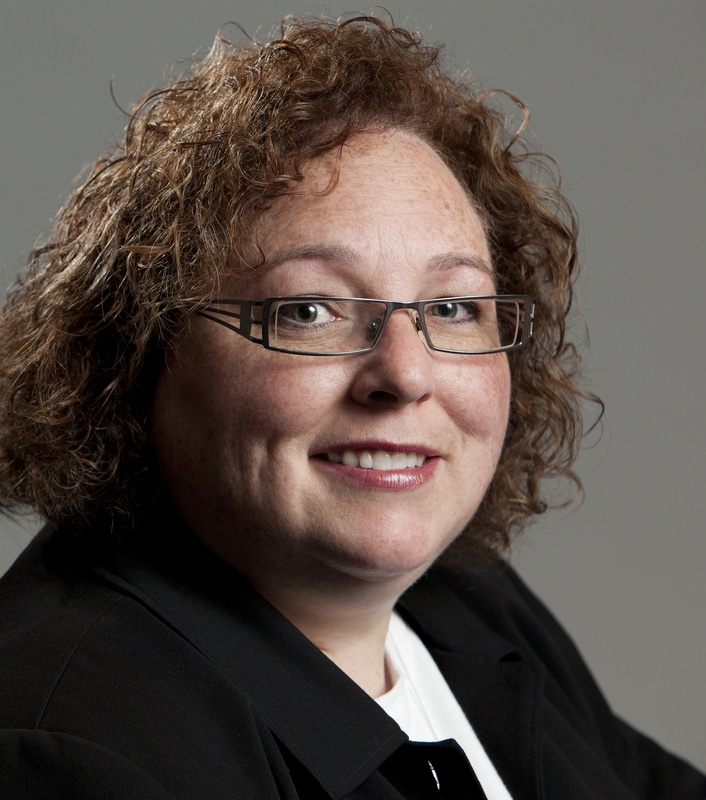 Currently she lives in Hamilton, Ontario, where she received her B.A. in Drama from McMaster University. From there she went on to obtain an M.A. in Communication from Regent University in Virginia Beach, VA, where she studied film making and screenwriting. Once an active member of community theatre in both Ontario and Virginia, Caroline has always enjoyed exploring the “how” and “why” questions of the characters she portrayed, directed and created. Caroline has worked on many types of productions, from television commercials to feature films, in a variety of capacities. She has written and directed two of her own short films as well as a documentary for the town of Pickering, Ontario, and instructional video for the Ontario Principals’ Council. Currently, Caroline works as an Executive Assistant. Marcia Lee Laycock, interviewed in last week’s blogpost, writes in various genres. For many years Marcia wrote a column called “The Spur” for local newspapers. Her articles look at daily events in her not-so-ordinary life, meditations that draw the reader to God. 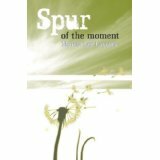 She later compiled these inspirational articles into a book titled Spur of the Moment. This volume won an Award of Merit in the God Uses Ink Christian writing conference in 2003. 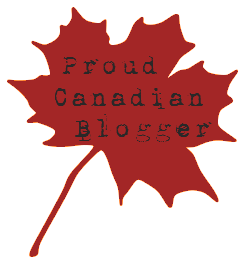 In 2006, Marcia won the Best New Canadian Author Award from Write! 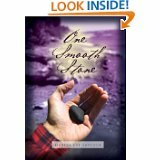 Canada’s Canadian Christian Writing Awards with her first novel, One Smooth Stone, subsequently published by Castle Quay Books. This novel follows Alex Donnelly, a young man trying to disappear into the vastness of the Yukon after a life of abandonment and abuse. When an unexpected inheritance draws him back to civilization, Alex discovers more about his past than he bargained for. Yet, through all his painful experiences, Christian people show him love and understanding and the father-heart of God. Laycock tells this story with literary skill and a caring heart. The characters become real on the page, the plot twists to engage the reader, and the writing flows smoothly and swiftly to a satisfying ending. 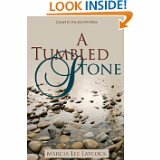 Laycock has also written a sequel, A Tumbled Stone, the story of Andrea Calvert, a young woman in trouble, who takes circumstances into her own hands and runs away to protect her family from shame. Little does she know that God is waiting for her at every turn, and cares for her through Evie, an unlikely angel who understands more than Andrea guesses. There are many forces at work in Andrea’s life, and as she is buffeted on every side by decisions and unexpected situations, the Lord surrounds her with love and protection. 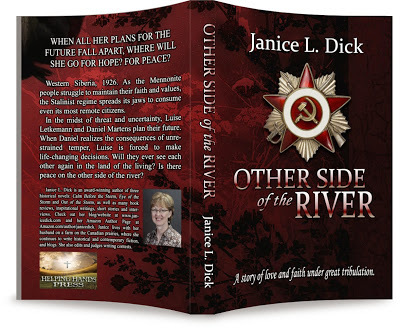 Again, the author has created a believable world of good and evil, of forgiveness and fear. The characters move through the intricate plot to arrive at surprising conclusions. Well worth the read. Besides fiction, Marcia Lee Laycock writes blogs, book reviews, short stories and poetry. Her work has appeared in the compilations Hot Apple Cider, A Second Cup of Hot Apple Cider and InScribed. Marcia is also a popular speaker. For more information on Marcia and her writing, check out her website at: http://marcialeelaycock.com.